Could be a little more reasonable in price takes about 20 minutes for service. They are competent and efficient. Barry was absolutely the best! He did a wonderful job. As far as I know!!! Have been using your service since 2003 and have always been happy with work and service reports. Always there when needed. Friendly and Respectful. Rob Green was very professional and I trust his word. He was extremely responsive, thorough and knowledgeable. I would definitely call on him again for assistance. refund since I did not get treatment for interior bugs. Excellent service! Customer service is top notch from the first call to the technicians! I have been a customer of Terminix of Wilmington for many many years. At one time we had 3 different accounts. Now that I am down to one location I need to comment on my service technician, Jason Morris. He has practically eradicated all the bug issues here at the beach. Jason also takes care of all termite inspections and any rodent issues. His knowledge about his business serves him well. He is most polite and efficient and wastes no time doing his job. I never worry about pest control as long as he is my agent. Thank you Jason! All seems well....The only question unanswered is "When is the filter due to be changed on the dehumidifier that you installed?" I think you need to set up a schedule. Is it yearly? or is it going to be changed twice a year as the manual indicates? I have to tell u that the crew that helped me with my crawl space problem were excellent. They came when promised & did everything to make it work.Namely - Scott , Brendan & Calvin. I would gladly recommend them because they kept their word & worked very hard tp find & fix the prpblem. James is considerate and a great technician. 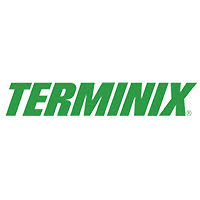 I have been a Terminix customer for many years. As a full time beach resident I have kept their technicians very busy. Service technician Jason Morris has eliminated any issues that come with living on the water and has done so with professionalism and courtesy. Terminix is the best! Prompt, professional, knowledgable, and reasonably priced compared to some of the competition. Your company always responds and gives me practical advice to reduce my bug population. Jim Cooper Jr. I have had a contract with Terminix in Wilmington NC since the 1980s and would highly recommend their service! When they did their annual inspection this year they found active termites which they came back to treat in a timely manner. Calvin from Terminix was nice and very informative on the process which made me feel comfortable and less anxious. Then today he came back to reinspect and was very professional, caring, and efficient. Quality services, timely service, and technicians like Calvin are all reasons I continue to have Terminix of Wilmington keep my home safe from termites. James has been my terminix man for years and I’m very please with the service. One of the best experiences I"ve had from a pest control company. Very professional and seemed to be very knowledgeable/ curtious. I live Downtown wilmington and have had a bad problem with German coackroaches. I can honestly say that my problem is gone and I don"t see them crawling through my cabinets any longer. I've been with Terminix for over 20 years. Very reliable. James does a great job for us. I like that the same technician comes for all my contracts. I did not have to be home for the inspection. The report was timely, clear and concise. thanks. Johnnie, the technician who provides pest control services to my home, is professional, knowledgeable, friendly, and courteous. He is reliable, arrives promptly and patiently answers questions regarding any of my concerns. Prompt, friendly service. Also, they came back onsite to re-check and re-spray when I raised a concern with some lingering insects. fast service good setup for insuring future protection. When the fleas are gone - 5 stars!! Very nice employees and efficient service. All of the Terminix employees I spoke with were very professional and extremely nice. Josh, that treated my house was awesome. As of today, no signs of waterbugs, and one flying ant. The crew was helpful, friendly and professional. They worked hard and took the time needed to get the job done just right. Thanks so much. Always been great services, friendly, on time and courteous. good service - nice tech.